Located in the south of the coastal area with its name, the beach has fine sand and shows a very bustling image throughout the year. It counts on all kind of services. This small cove of crystalline waters is set in the place of the same name, the Cabo Cervera (Cervera Cape). 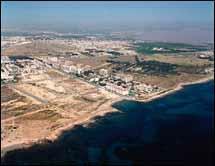 This is one of the most attractive beaches in the city, both due to the seabed and the site where it is located. The set of small breakwaters of the Juan Aparicio seafront promenade have formed a very unique bathing area: a set of beaches surrounded by rocky areas. This last detail also gives the site an added value, as it provides an attractive area for diving, with interesting depths of oceanic Posidonia prairies. They are very quiet bathing areas ideal for children and the elderly, and very busy because they stand in the center of the city of Torrevieja. 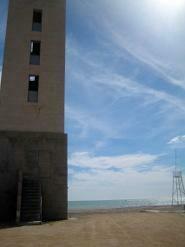 Cala Piteras is a cove located in the southernmost tip of the Torrevieja coastline. 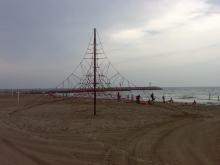 It has 1,860 square metres of sand and is 123 metres long. Among other services, this beach has a Red Cross post, a disabled toilet, two feet-washing areas, an adapted access ramp, recycling facilities and rubbish bins, reserved parking for ambulances and the disabled, three beach bars/restaurants and a cordoned bathing area. This beach lies to the north of the l'Arenal beach. It is a fine sandy beach, 400 metres long and 100 metres wide, which can reach up to 150 metres at low tide. It has also been awarded the ISO 9001 Quality Certificate, the ISO 14001 Environmental Certificate, and the ‘Q' for Quality by the Spanish Institute of Tourism Quality. 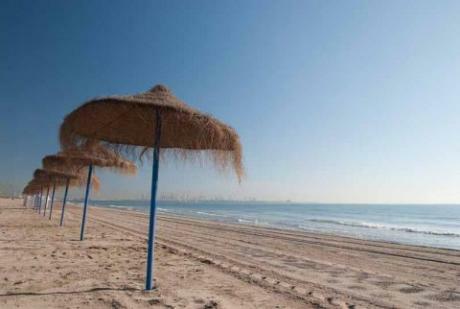 This easily accessible beach offers a wide range of facilities so that everyone is able to enjoy its services. 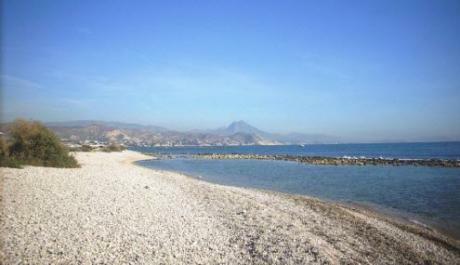 This beach lies to the north of the Playa de l'Arenal beach. It is a fine sandy beach, 400 metres long and 100 metres wide, which can reach up to 150 metres at low tide. It has also been awarded the ISO 9001 Quality Certificate, the ISO 14001 Environmental Certificate, and the ‘Q' for Quality by the Spanish Institute of Tourism Quality. 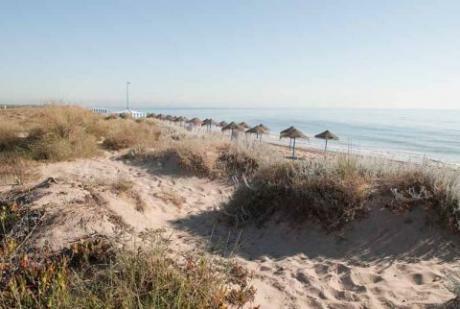 This easily accessible beach offers a wide range of facilities so that everyone is able to enjoy its services. 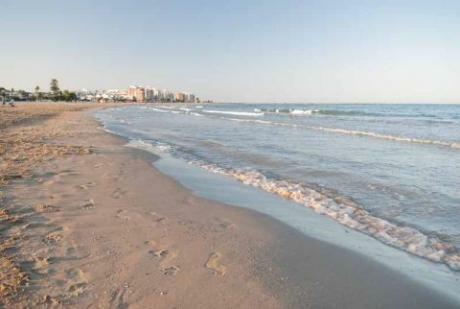 Located between Pinedo and El Saler, and close to the first dunes of the La Albufera Natural Park, this peaceful beach offers all the necessary amenities, including a cycle track, so that visitors can enjoy a pleasant dip plus a relaxing stroll or ride beside the sea.